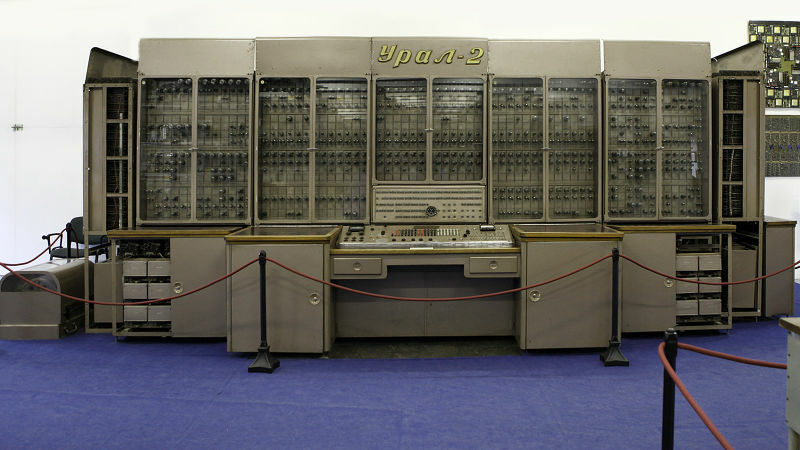 I will never forget the day my dad showed me an image of an Ural-2 computer. Produced in the USSR in the early 60s, it was humongous — there was no other word for it, and I was bewitched by this machine. I kept coming back to look at the photo, and I think I even slept with it next to my bed. (Disclaimer: This was the summer of 1993 and I was 5 years old). In my dreams, I sat in front of the Ural and it did magical calculations for me, measuring the diameter of an apple or something of equal importance. In my mind, the machine also produced wonderful sounds — like a church organ, as they seemed to be about the same size. Development of new technologies has moved quickly since then. Welcome to 2016, a year in which I try to remind myself of the (slow and painful) days of dial-up internet access, whenever I get annoyed that the Facebook app is taking longer than three seconds to load a gif. (Even as I write this, I hear the dial-up tone in my head and a chill passes down my spine). Today we’re used to carrying tiny, but powerful computers in our pockets. Our smartphones have more storage than the Ural-2 had, they’re faster than computers that filled entire rooms, and they’re even more powerful than the Apollo Guidance Computer onboard the Apollo 11 Command Module. That machine had 64 kilobytes of memory, operated at 0.043MHz, and landed on the moon in 1969. We live mobile-first now. We read the news, chat with loved ones, and express our political views through our smartphones. We share our happiness and sorrow through these little gadgets (not forgetting the cat pictures, selfies, and tweets about breakfast)! 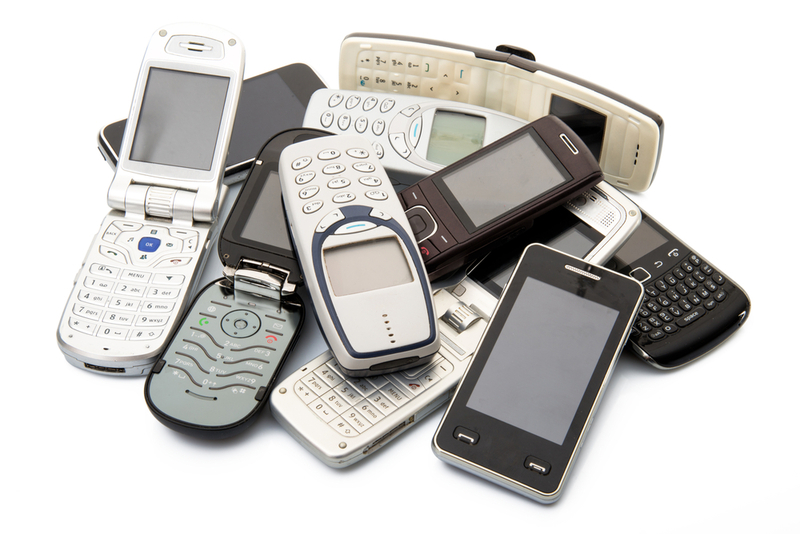 What was the world’s first commercially available smartphone though? Many people might say the iPhone, but they’d be mistaken! 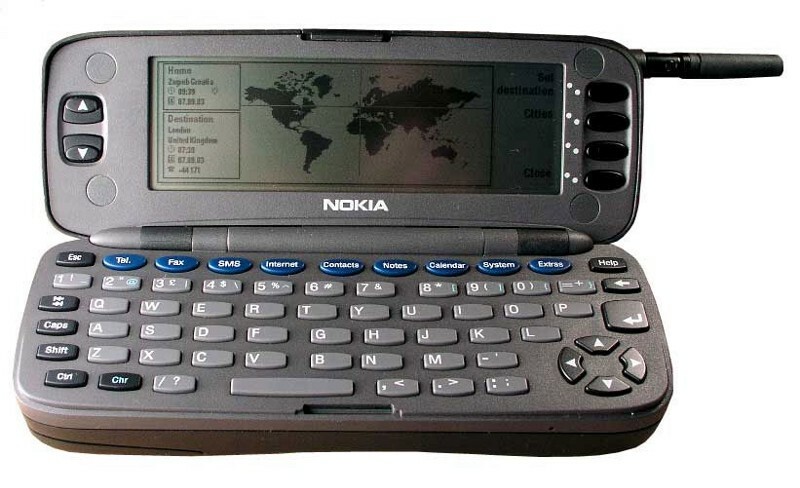 On August 5, 1996, Nokia unveiled a phone called the Nokia 9000 Communicator. Weighing slightly under a pound, it could email, fax and surf the Web. The Communicator could even read and edit Microsoft Office files from a desktop PC! It also connected to the internet over the built-in 9600 bits per second GSM modem — but you had to connect to the mobile network in a dial-up fashion (luckily, without the awful tone). The Communicator was technically the world’s first smartphone, but unfortunately, it didn’t succeed in making Nokia the mobile giant it craved to be. The device was at the forefront of innovation, but even the target audience of business executives didn’t rush to buy. The whopping price of $800 (equal to circa $1,232 today), the complexity, and the weight scared off potential buyers. The Nokia 9000 Communicator was just ahead of its time — it was a “smartphone” before the word existed. Nokia 9000 was, indeed, released too early to be understood and appreciated by the mass consumer, and as such, the last of the Communicator line was released by Nokia in 2007. So what’s the view 20 years later? When it comes to mobile, sometimes being “first” isn’t everything. What’s more important may be entering the right market at the right time. Case in point, Apple and the original iPhone. (H/T to SSls.com for commemorating this one of many internet firsts).